In the BCIT Business Operations Management diploma program, you’ll learn how to manage, evaluate, and improve these critical functions. You will acquire a highly transportable set of skills applicable to a variety of organizations. A strong connection to industry allows you to apply those skills to real world situations, preparing you for success. As a Business Operations Management student, you'll benefit from BCIT's unique learning model of a combination of lectures and labs. With small classes of 20-25 students, you’ll get to put what you learn into action. Your learning will focus on opportunities to complete real projects for business clients. This means you get the skills that employers are looking for and connections with industry professionals. The skills and education earned in the Business Operations Management program at BCIT are highly transferable to any industry. Manage complex projects, solve key business issues, implement planning systems, or take on a role sourcing and managing products. Review labour market information for specific jobs for Business Operations Management graduates on CareerBuild. BCIT students have the opportunity to network with industry professionals and other students in the SAP Community Network website. 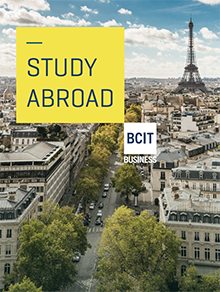 A BCIT Business Consulting Project provides second year Business Operations Management students the opportunity to work over a 10 week period with an organization on a process improvement or development process project. Students work in a team of two or three to identify potential opportunities, conduct research, and recommend effective solutions. Students complete a comprehensive written report and present an oral presentation to the sponsoring organization outlining the student team's recommendations to improve operational effectiveness. "Overall STEMCELL was very pleased with the output of the fall industry project. We felt we learned a lot from the students about business operations tools and our own processes! We would highly recommend this opportunity to other businesses. STEMCELL has definitely benefited from working with BCIT and the high quality of their students and program."